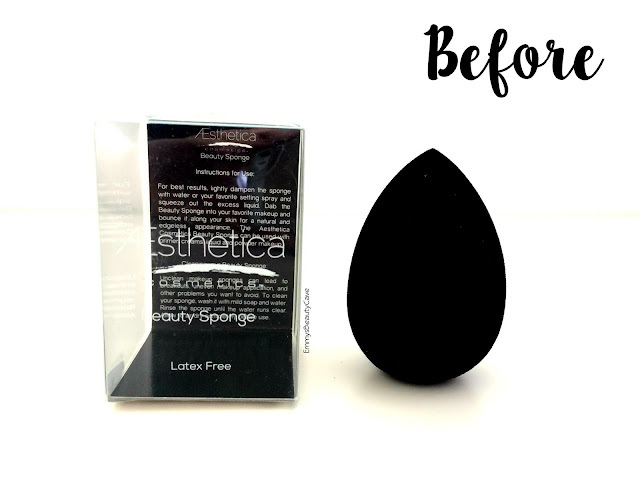 I hadn't heard of the Aesthetica Beauty Sponge before until I was recently browsing on Ebay and Amazon. It cost £10.99 including postage which I thought wasn't too bad but I was worried it wouldn't be any good. I liked that it comes in black as I find the pink beauty blender always looks so dirty and gets stained really easily. 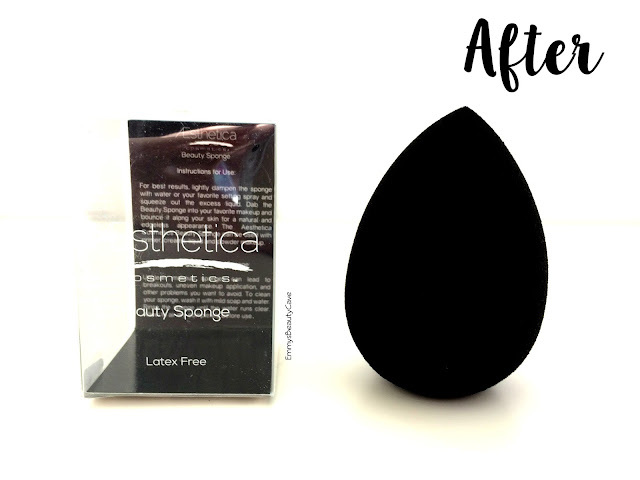 The Aesthetica Sponge is Latex Free for those of you who look out for that. 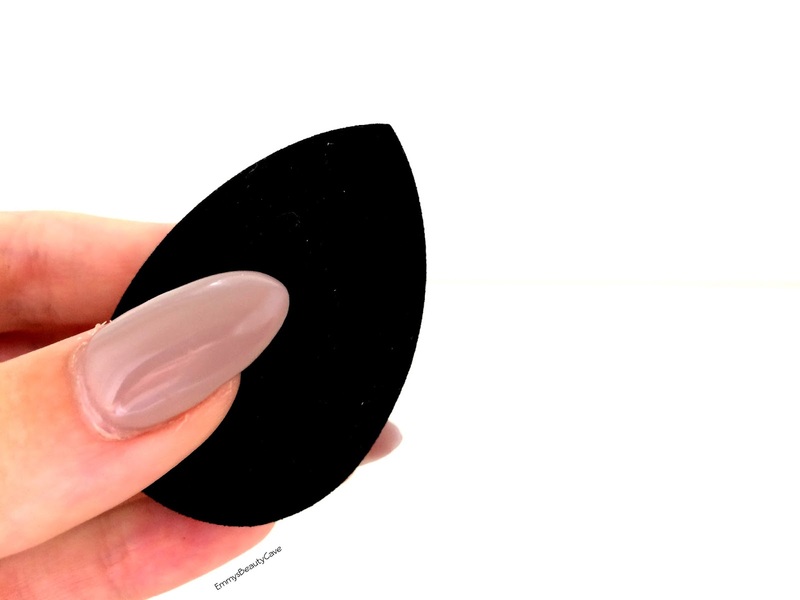 It looks exactly like the Beauty Blender but does it do the job? Above I have shown the sponge dry and then after I have wet it and squeezed out the excess water. It really does grow alot bigger than I expected it to. This sponge feels so soft! I have found any cheaper sponges I have tried have always been really hard and a nightmare to use, they are like hitting your face with a rock! Not this beauty, this sponge feels very soft against the skin and you don't need to press hard to get the product to apply. 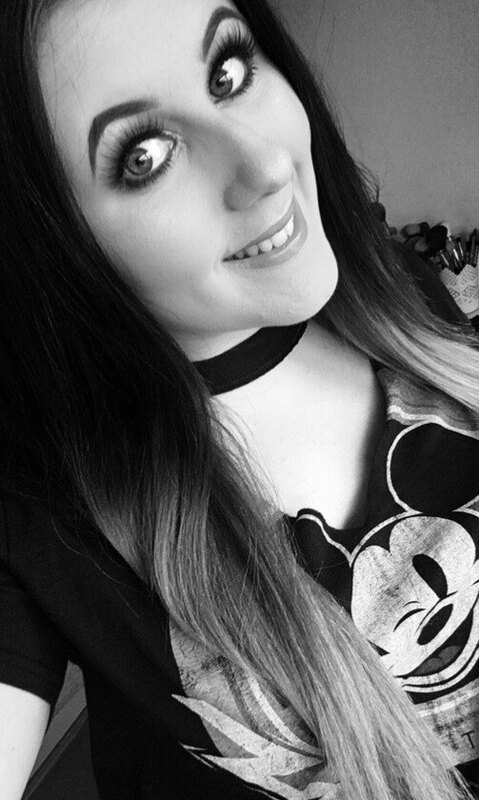 It didn't soak up any foundation which is one thing I look for. Due to the size I was able to cover my whole face quickly and it applied evenly. Before using this I did also love the Real Techniques sponge but the Aesthetica Sponge blows it out of the water! It applies foundation much better and with less effort. 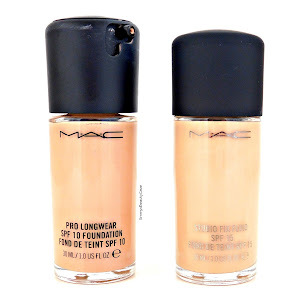 I have washed it a few times and it hasn't damaged it at all and the foundation washes out easily. I do wash this every time I use it as I find it keeps it more hygienic. For £10.99 it is a complete bargain and it is the only sponge that is actually a Dupe for the Beauty Blender. 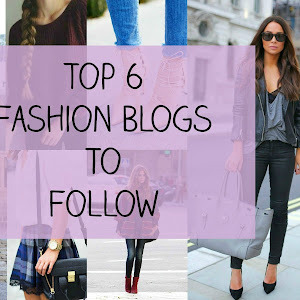 I got mine here but you can also search Aesthetica Sponge on Ebay or Amazon. If you are in the US you can buy the sponge directly from the Aesthetica Website for $13.00 HERE.